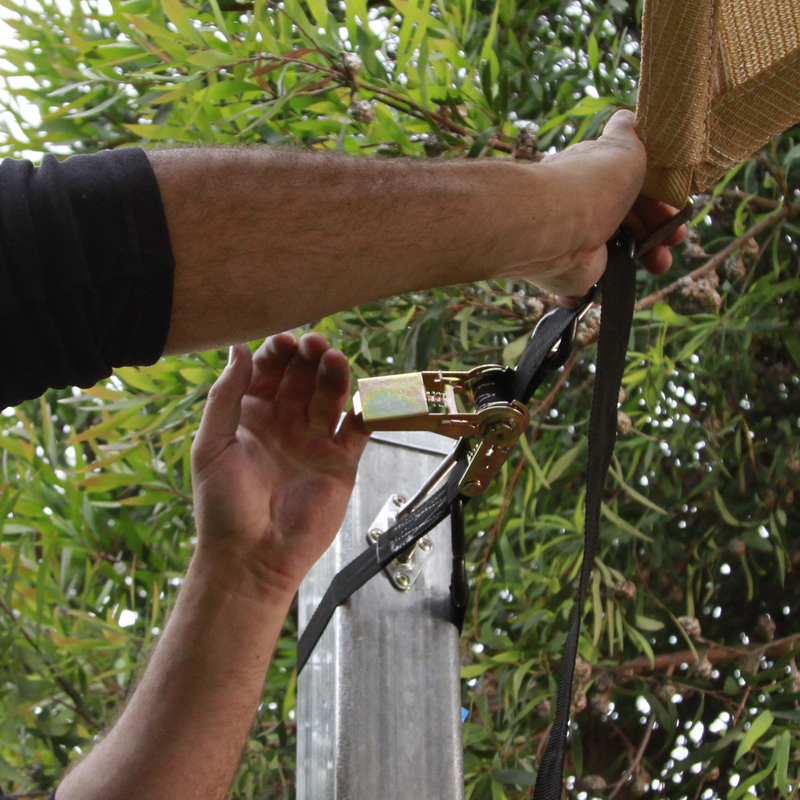 Used to provide required tension to the shade sail when installing the final connection accessory. Maximum weight limit 400kg. Not for permanent use.